Buy his latest book, Safe Haven: Realm of the Raiders. XL: You live in a place called Outer Hebrides in the Northwest of Scotland. Tell us a little about life there. Part of your first book takes place in Leeds. Is that close to Outer Hebrides? Artinian: Well… Leeds is about 500 miles away from where I live on the Isle of Lewis. It is a huge city in Yorkshire, which scientists are close to proving is actually the centre of the known universe. It is very cosmopolitan and heavily populated. Where I live now is… not. The Outer Hebrides consists of a number of islands, Lewis being the largest of them. There are around 18500 people on the whole of the island and it is a fairly long ferry ride to the mainland. There is one town – Stornoway – which is much like any other small town in the UK. I live about twenty miles away from that. (Out in the sticks). XL: So you’re a vegan? My wife is a vegetarian. How long have you been vegan and how did you decide to live that lifestyle? Artinian: I’ve been vegan 1 year. I’ve been vegetarian 21 years. I took a long hard look at how I lived my life. I examined what made me, me. One of the main things was my love of animals. After that I found it hard to reconcile the fact that I loved animals, yet still ate them. My subconscious and conscious really started to work overtime and it wasn’t long after my spiritual stock-take that I became vegetarian. To my shame, I never thought about how animals in the dairy industry and so-on were treated, but then I found out. I thought my guilt did a number on my head in 1996, but it really went to town when I saw some of the stuff that happened to cows and hens. Like I said, the only person I judge is myself. Everyone else makes up their own mind about everything. I don’t preach. If someone asks me a question, I answer it. If someone is curious about what I’ve got in my lunch pack, I let them try a bit. I’ve never had anyone say, “that tastes awful”. I love food and drink. I’m not someone who could live on salads and nuts. I have a full, varied and rich diet and I have to watch my weight like everyone else. There are lots of scare stories about veganism, most of them perpetuated by the meat and dairy industries. They’ll tell you it’s not a healthy diet and man was born to eat meat. What I would say to them is read the China Study by T. Colin Campbell, and look at the statistics. XL: You describe yourself as a huge lover of music, cinema, and literature. Tell me about your favorite music, movies, and books. Start with movies and books in the horror genre. Artinian: Despite popular belief, I’m not a snob when it comes to anything. I love all sorts from “Arnie” to “Kurosawa”; from “Billy Joel” to “Cradle of Filth”. It all depends on my mood and my mindset at the time. As far as favourite movies and books in the horror genre go, I’m a big fan of Robert Mccammon. The guy is a genius and I find his work really unnerving as well as beautifully written. Baal is particularly scary. Swansong is my favourite book of all time and marries horror with fantasy in a truly epic post-apocalyptic tale. I read lots of different authors though. Obviously, Stephen King, James Herbert etc. I’m reading a lot of zompoc at the moment. Horror movies… where do I start? The Exorcist is my favourite horror flick. I love Sinister though; that film gave me some genuine night terrors. I thought the first Paranormal Activity film was pretty clever and I loved the original Blair Witch Project. I recently watched Train to Busan, that has become my favourite zombie film right behind the original Night of the Living Dead. Music – ha! I have very eclectic taste and there are certain things I’m not allowed to play in the house. Diamanda Galas is possibly the greatest living vocalist, but her “out there” approach is a little difficult for people to adapt to if they’re not fans. I like a lot of “ear bleeding”, heavy metal like Cradle of Filth, Meshuggah etc, as well as plenty of Prog and Classic Rock like: King Crimson, Dream Theater, Marillion, Peter Gabriel, Yes, Queen, Pink Floyd. I love Godspeed You Black Emperor; I adore Portishead. I listen to a lot of Jazz: Miles Davis, John Coltrane, Thelonious Monk, etc. I throw some Classical stuff into the mix too. I am very keen on Bartok, I find his work interesting and moving; “The Miraculous Mandolin”, being a particular favourite. So, long story short; nothing is off limits. XL: Whether in books or movies, so many people flock the horror. Why do you think people volunteer to be scared? Artinian: Good question. I honestly don’t know why others do it. I do it because I enjoy the feeling. I enjoy the sensation of the adrenaline pumping and facing what I’m scared of. I have suffered recurring nightmares all my life and maybe my subconscious is trying to find a way to beat them. XL: When it isn’t horror books or movies, what else do you read or watch. Who are some of your favorite, more traditional, writers and what movies can you watch over and over again? Artinian: I adore the Dark Knight trilogy by Christopher Nolan. I thought that was actually a perfect trilogy of films. The direction, acting, script… everything about that series just left me in awe. Those are the first films that spring into my head because I’m staring at a big poster of Christian Bale as Batman as I talk. Godfather I and II – Genius… Huge Pacino and De Niro fan. Seven Samurai, Yojimbo, Sanjuro, Hidden Fortress, Ran… Kurosawa was amazing, and so influential. Shawshank Redemption – so powerful. There are hundreds of films I could talk about. If it’s good, I like it. It doesn’t matter what genre it falls into. The Before Sunrise, Before Sunset, Before Midnight Trilogy with Ethan Hawke and Julie Delpy; they were phenomenal films and I could watch them over and over, but ultimately, they fall under the Romance category. I make no apology for what I like and love. No-one should. I read a lot of non-horror and watch a lot of non-horror too. I like picking up the odd Grisham, but there are some real classic post-apocalyptic stories out there. There was a writer called John Christopher who wrote about all sorts of “world end” scenarios. The Death of Grass and Wrinkle in the Skin are two of my favourites of his. Earth Abides by George Stewart, Alas Babylon by Pat Frank, Down to a Sunless Sea by David Graham, Lucifer’s Hammer by Larry Niven. David Brin has done some incredible stuff too, like The Postman and Earth. On the Beach by Nevil Shute and of course, who can forget The Day of the Triffids by John Wyndham? There are lots and lots of great books, horror, sci-fi and other that have had a big impact on me. There is nothing wrong being in a place where you decide you only want to read one type of book. If that’s what brings you pleasure, than why the hell not? But I like a varied diet in books, just the same way I do in films and Music. XL: You say that you studied drama. Did you act on stage or direct? Tell me about your drama experiences. Artinian: As a child I was very overweight, never had many friends and got ridiculed for my size an awful lot. The last thing I would ever think of doing was going out onto the stage, even though I loved the idea of acting and writing. Thank goodness for complex orthodontic problems. I had some weird “tooth stuff” going on in my mouth including one tooth growing from the roof and one fang forming. My dentist referred me to an orthodontist who put all these wires and bridges in which was fine until I tried to eat anything, then I just started bleeding… lots… and lots… and lots. I had to go to hospital one Sunday because it wouldn’t stop. Anyway, by the end of that treatment I was several stones lighter, and was just in time to pick the courses I wanted to do at A’ Level. I selected Theater Studies which was basically Drama and it was the best thing I ever did. It gave me a confidence I never had before. I threw myself into the course. We studied Brecht and Stanislavsky and that’s when I really got into the likes of De Niro and Pacino. When we did any work I did the whole method acting thing which was a fascinating and all consuming process. We did group projects throughout the course which involved everything from writing and direction to production and stage design. XL: I love a good character-driven story, and that’s exactly how you describe your books. How did your drama experience help you get into the minds of your characters? Artinian: When it came to the final exams in my course, there were a number of options you could choose for the practical module, and I decided to write and star in a short piece. I completely immersed myself in the role both while I was writing and while I was acting. From that point on, whenever I have written fiction, I have always seen through the eyes of the character. I have always tried to experience what they would experience, and react like they would react. It’s the only way I can work. XL: What sort of work goes into creating a new main character? How about a villain? Artinian: It’s hard to pin down. Without giving anything away to people who haven’t read it yet, the main villain in book two came from a photo I remember from childhood. All life, all experiences are valuable when it comes to writing. There was this picture of me sat on Santa’s knee. The guy dressed as Santa had dead eyes. Don’t get me wrong, he was probably a really nice guy, but looking at this photo set my mind going and the dead eyes became evil eyes, the white hair became red hair, the smile became a sneer and the physical villain came to life. I wanted him to be the “anti-Mike”; the guy who was opposite in so many ways to the hero of the books. He was actually very easy to develop because of that. There isn’t a lot of ambiguity in his character, just like there isn’t a lot of ambiguity in Mike’s. Things aren’t confusing with them, they’re pretty black and white. XL: Where did your idea for Safe Haven: Rise of the Rams come from? 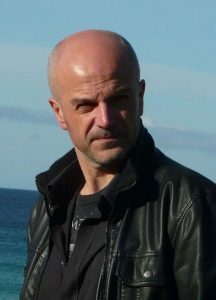 Artinian: Over twenty years ago I was going to write a play about two parents dying and the older siblings becoming the guardians of the younger ones to keep the family together. That’s when Mike, Emma, Sammy and Jake were born. Those characters have been in my head a long, long time. When I started writing fiction, I had a number of failed attempts. I was reading a lot of post-apocalyptic stuff at the time and I was a fan of zombie movies and I decided to marry everything together. XL: Tell me about your writing process. What do you do to get a story ready for writing? Artinian: I don’t do anything. I start and let the story develop. I can sit down to write and come away thinking, “wow, I didn’t see that coming”. The characters act as they would act and the story develops in response to that. XL: Give me an idea of your ideal writing environment. Do you have a quiet place you go or a time of the day that is most conducive to working? Artinian: I have an office. It’s a work in progress, I’m trying to declutter, but I have to have the door shut. I cannot have anybody around me. I am in awe of people who can write in cafes etc. I need isolation. I write whenever. XL: When does the rewriting process begin for you? Take me through your rewriting process. Artinian: Once I’ve typed “The End”, I leave it a couple of days, sometimes more. Celebrate a little… then a little more. Once I’ve slept off the headache and done all the stuff around the house I should have been doing those past weeks, I go back to look at it. I have a full read through making notes about the bits that don’t sit right or sound clunky. After that, I’ll go back through it in front of the laptop with my notes. The bits that need changing will be changed. Then it’s another read through, same drill again. Finally, when I am happy, it will go to my beta readers… that’s usually when the real work starts. I won’t send it to the editor until I have completely demoralised myself and convinced myself that the only person who can help me from this point on is a professional. XL: How do you know a novel is finished? Artinian: When my editor tells me. 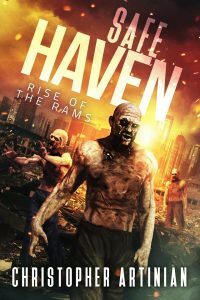 XL: In Safe Haven: Rise of the Rams, you have a process your characters go through to sterilize the newly dead so that the virus can be contained. I found it really interesting. Tell us a little of how that works. Artinian: Without giving too much away, the government in the UK and Ireland are still operating for a while into the series. 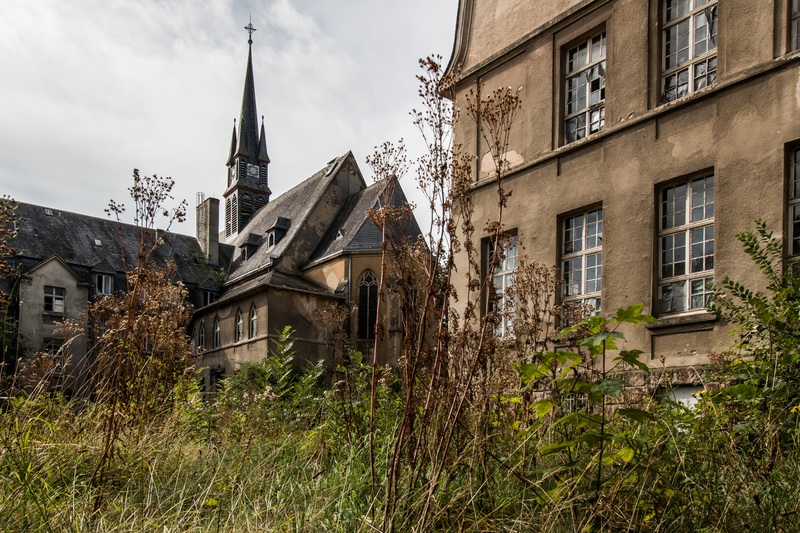 Because of the nature of the spread of the virus, there are quarantines in place and victims who are scratched and not yet turned are “managed” at home. There is an outside possibility that these scratch victims may actually survive and thus provide a cure in the form of an antivirus. That is why they are not just killed. In the event they turn however, special “management and handling” equipment is supplied by the government and back-up is available within minutes if needed from military and medical staff. Like I say, I don’t want to give too much away to people who haven’t read it. XL: Who creates your covers? I really like them. Artinian: It’s a chap called Christian Bentulan. I work really closely with him and he is a really talented, and lovely guy. 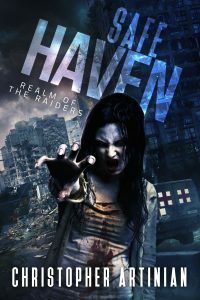 XL: The second installment to your Safe Haven trilogy, Safe Haven: Realm of the Raiders, is out now and the reviews for it are tremendous. You are hard at work on the last installment of the trilogy. How far along are you and when does it hit the market? Artinian: I’m about 75,000 words through. I was further, but I decided to get rid of a sub-plot. I’m hoping for early October for release. XL: If you weren’t writing books, what would you be doing? -Interviewed by Joseph Xand, author of Dead Fall and Founder of XandLand.com. Visit his website at JosephXand.com. Join the XandLand Facebook Group for updates on future Author Interviews.